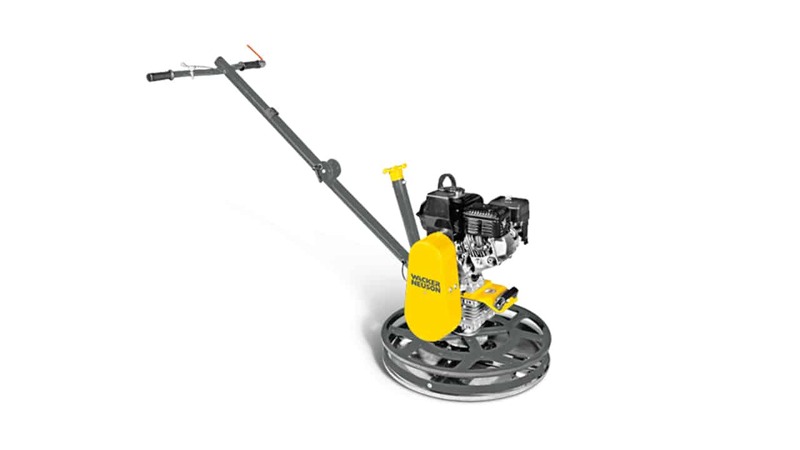 The models of Wacker Neuson’s CRT 48 trowel range feature a finishing diameter of 1220 mm. They deliver best results with maximum productivity. Their distinguishing feature is a superior steering system, which makes steering easier and thus prevents early user-fatigue. 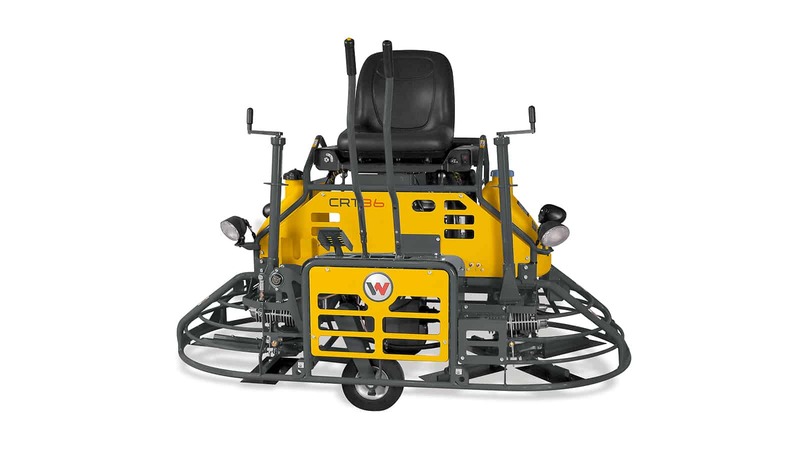 In addition, the rigid frame ensures excellent steering control. 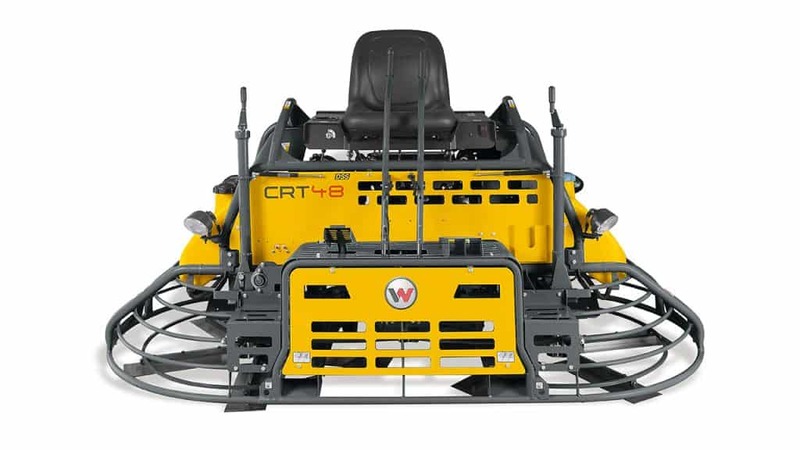 Combined with the ergonomic 2-lever controls it achieves optimum manoeuvrability. 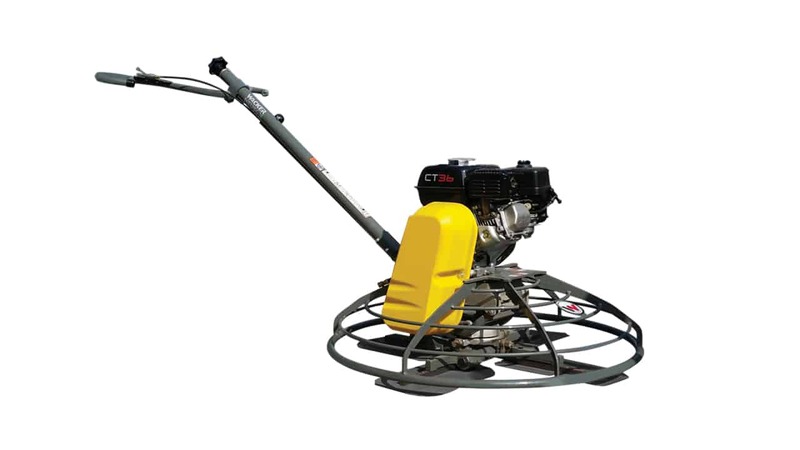 Petrol powered ride-on trowel for efficient, high quality concrete finishing in large areas, air-cooled Briggs & Stratton Vanguard engine. 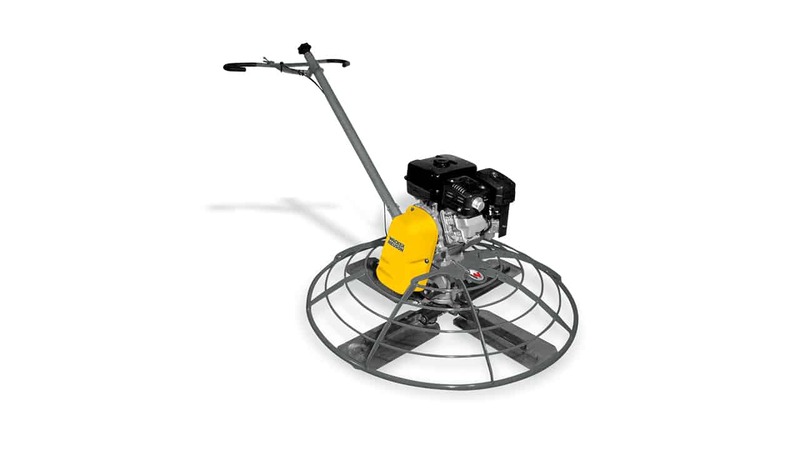 Petrol powered ride-on trowel for efficient, high quality concrete finishing in large areas, water-cooled Kubota engine. 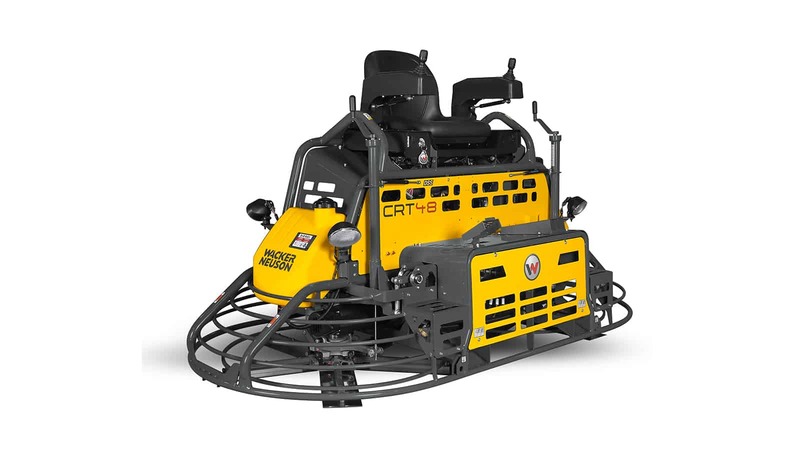 Diesel powered ride-on trowel for efficient, high quality concrete finishing in large areas, water cooled Kohler engine.